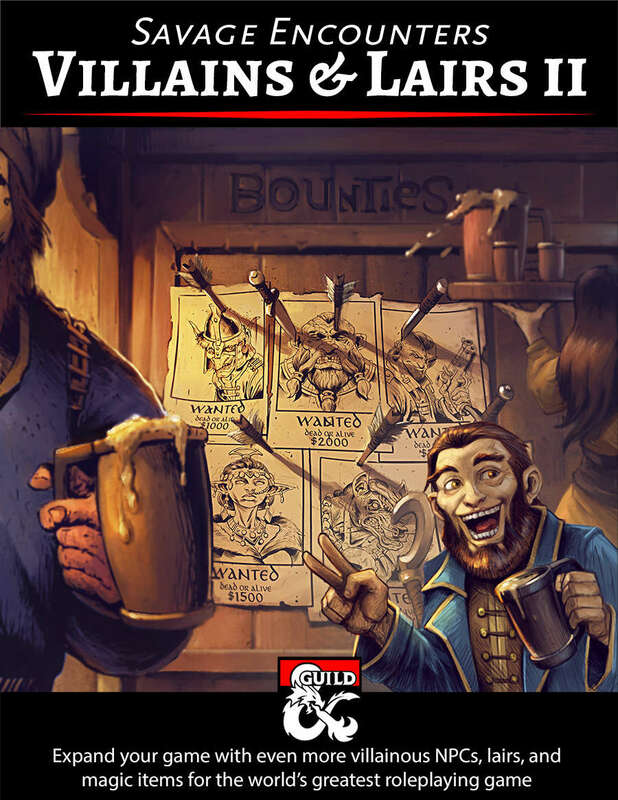 Revolutionize your game with this collection of 28 villanous NPCs, from small fry to world-ender, eight of which include maps and details of their lairs. Sinister side-quests, terrifying overlords, bounties, one-shots and more lie in wait for you inside. If that weren't enough, each NPC includes an image, backstory, motives, flaws, and a curated stat block. Some even include new magic items! Plus, you can download the maps!